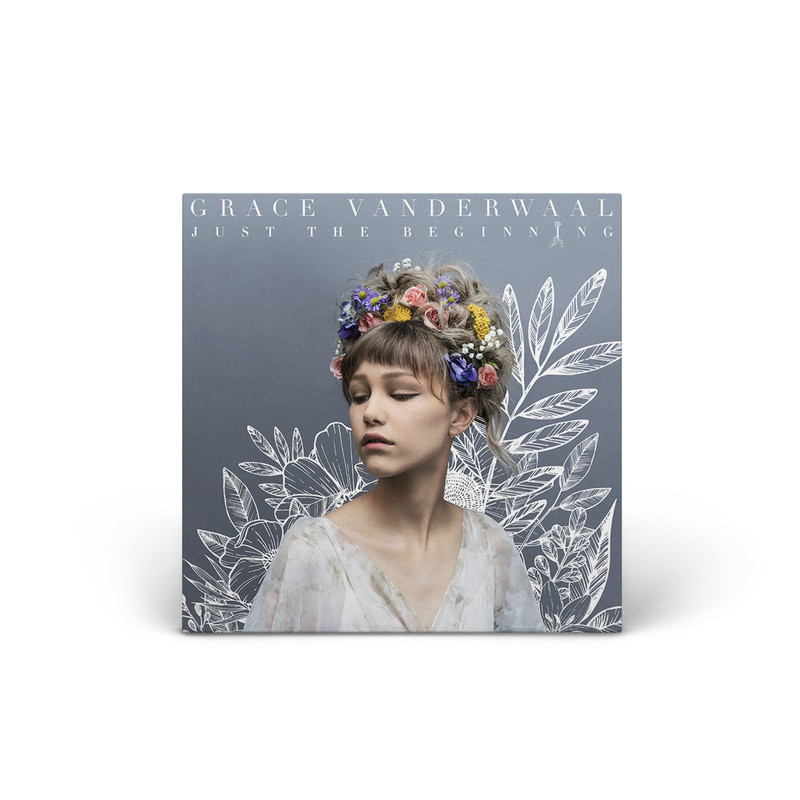 Just the Beginning is the debut full length album from singer/songwriter phenomenon Grace VanderWaal. Her eagerly anticipated album has been preceded by the lead track and video, “Moonlight,” along with the beat-driven song “Sick of Being Told,” and “So Much More Than This.” The single “Moonlight” has received critical praise from Billboard, who called it the “perfect summer song,” and The New York Times, who noted that Grace is a “pop natural” and the single “sounds like steroidal bluegrass-inflected space-pop,” among others. In addition to writing all the songs for Just The Beginning, Grace also worked with multiple award winning producers and writers such as Ido Zmishlany (Shawn Mendes, Camila Cabello), Kinetics & One Love (Hailee Steinfeld), Greg Wells (Katy Perry, Adele), Gregg Wattenberg (Train, Phillips Phillips) and Sean Douglas (The Chainsmokers, Demi Lovato). Grace captured the hearts of America when she was crowned the champion of America’s Got Talent Season 11, and her new album was announced on the one year anniversary of her winning the competition. She has continued to engage fans of all ages, and preceded the release of Just The Beginning with appearances on America’s Got Talent, Live with Kelly and Ryan, and The Ellen DeGeneres Show. The young star, who recently won the Radio Disney Music Award for The Freshest - Best New Artist and the Teen Choice Award for Choice Next Big Thing, will embark on her sold-out U.S. headlining tour in the fall of 2017.
grace Vanderwaal is the best and she been my favorite artist of all time. Ever since I got just the beginning for my birthday I been listening to it way to much. Right now I'm going through a hard time and grace has help me through it so much and she's the best. Every day I go on to YouTube crossing my finger theirs a new music video/ song and if their isn't I go and look and oh never mind it's just me/grace vanderwaal. Whenever theirs new music that's out I emptily jump up and shout yes and start it as fast as I can. So far I don't have a song I don't love and all I can say is continue for as long as you can possibly go!!!! You are the best!!! Let's go grace let's go!!! Go!! go!! go!! go!! go!! go!! go!! Yay! woho! yeah! gggggggoooooooo!!!!!!!!!!! I REAAAALLLLLLY LOVE IT!!!!!!!!!!!!!!!! her new album is amazing!!!!!!!!!!!!!!!! my sister bought it for my birthday and I have been listening to it ever since. I like breathe Grace Vanderwaal:) I would love to meet her. she is such an amazing girl and I would recommend everyone to buy her album. She has such a different tone in her voice that is killer. I love her music and her. Keep flying high Grace!!!!!!!!!!!!! your amazing!!!!!!!!!!!! I have her just the beginning album. but I also really love her perfectly imperfectly album. Their both SO GOOD NO GREAT!!!!!!!!!!!!!!!!!!!! GO GRACE!!! GO GRACE!!!!! I have folowed Grace since her debut on AGT. Now, I cant put her music aside. The album, Just the biginning, remains in my cd player in my truck. I can not get enough of this album. Thank you Grace for sharing this part of your life with us. I anticipate great things for her next release. 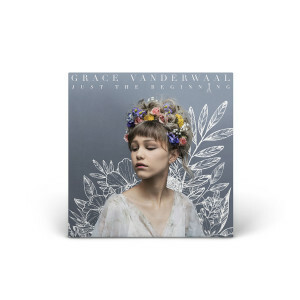 my #1 album of the year for 2017, and it just keeps getting better and better and better throughout 2018... albums like this only happen once in a decade... except for in the case of grace, because i'm sure her next will be incredible too! I've had my Just the Beginning CD for almost 3 months now. It seems I can't make one trip in my vehicle without listening to it! Grace Vanderwaal has quickly become my favorite artist! Watching Grace's Youtube video of "Darkness Keeps Chasing Me" made me think this little girl has a Mississippi barge-full of SOUL ! It also made me buy her album. I really hope this is truly Just the Beginning for her and look forward to many more better and better albums, as genius exponentially progresses. Also, her spectacular rendition of "Take me to your River" on YouTube made me take back earlier thoughts that maybe she could not do "covers." I suspect the key to her continuing success will be to sing and perform outwardly whatever sings first in her own heart. You go girl ! I have listened to this album dozens of times already. It is brilliant! Darkness Keeps Chasing Me is my favorite song but they are all great. I am probably older than most of Grace's listeners but I still relate to every song. Still, I wish I could have listened to her back when I was the age she is now. It really would have helped me cope with growing up. Grace has a talent for poetically expressing things that we feel and her songs can touch people in different ways based of their experiences. My reaction to the album is THANK YOU! Grace you bring joy, happiness and a whole range of emotions out in your music; your songs are like a hug from a friend or a walk with someone you love being with. I hope you always follow the path that brings you happiness, Grace. And thanks again for this beautiful album. I ordered the cd and patch pack. Let me just say it now: everything is high quality. The patches are beautiful. As for the CD, well, look at the reviews (all of them are glowing). I can't add anything more to that except to say I had high expectations &amp; my expectations were exceeded. I wish the songs Darkness Keeps Chasing me and A Better Life were reversed. Other than that 10/10. The only issue I have is that my CD arrived cracked. I know this isn't anyone's fault as it was packaged perfectly. Things like that just happen, I guess. Personally, I think the crack gives my CD more character and am going to fill it in with gold foil. If you are on the fence about getting a CD I recommend GOING FOR IT. It is SIGNED and every song is uniquely its own. Sadly the patches are no longer available but HONESTLY, I LOVE THEM. The only reason it is 4 stars is that of the crack. Grace is trulyyyyy amazing I can't stop listening to just the beginning,i knew she'd be AMAZING since her first appearance on AGT. Congratulations Grace you deserve it and so much more than this. Absolutely wonderful! I enjoyed each and every song, and each one seemed better than the last. Although vastly different, they were all so powerful and filled with meaning. A wonderful debut album, Grace!